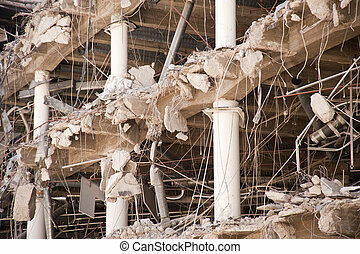 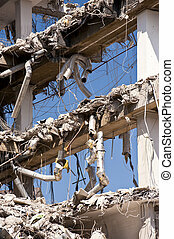 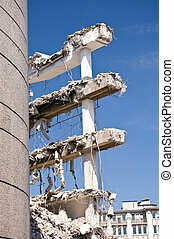 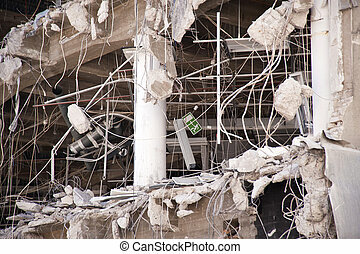 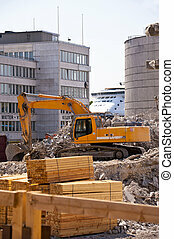 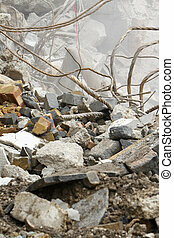 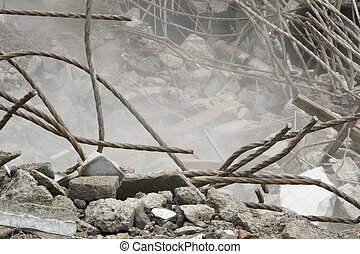 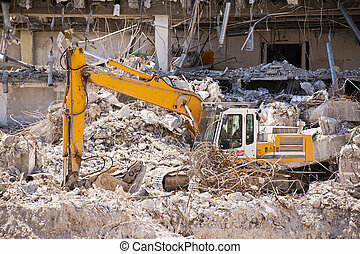 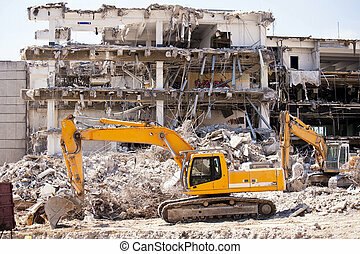 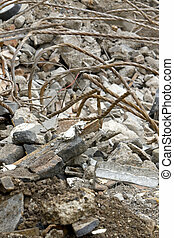 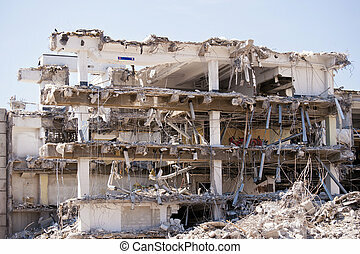 Building demolition debris. 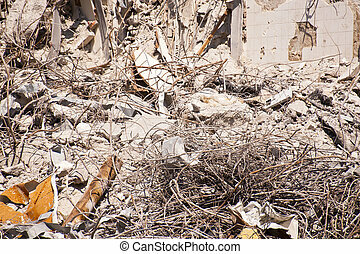 Pile of building remnants in front of a partially demolished building. 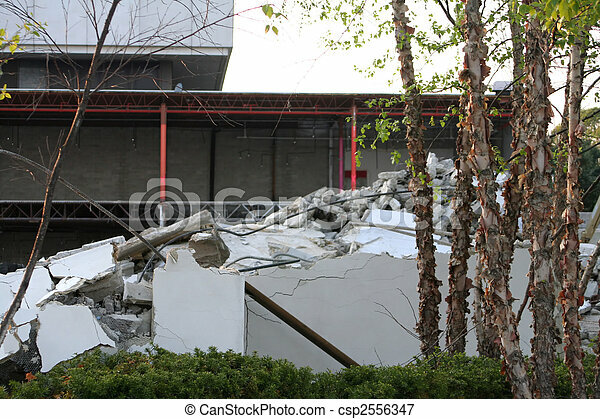 Pile of building remnants in front of a partially demolished building.